A few weeks back I bought a beautiful vintage cup and saucer at the webshop Ontbijtpret from the always friendly Christy. Unfortantely 1 of my kids dropped the cup and it fell in a lot of pieces. I coulden’t drop the broken cup in the trash so i kept it for a while….sitting all broken and still pretty in a glass vase. 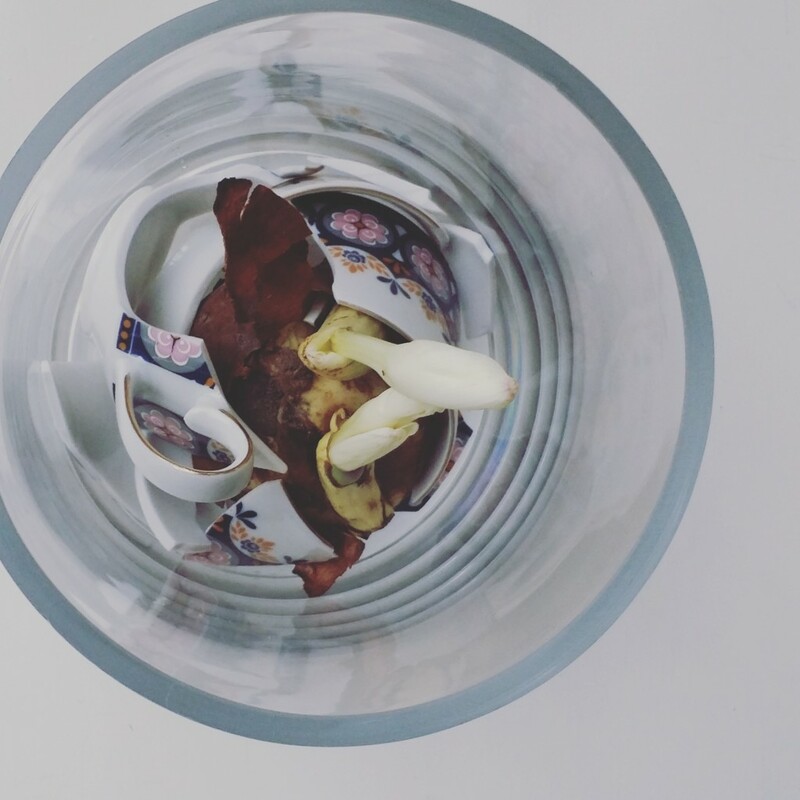 Till I bought an autumn crocus (herfsttijloos in Dutch and Tidlösa in Swedish) and put the bulb in between the pieces of the cup. I must say that it looks very nice and I’m so happy that I kept my broken cup. 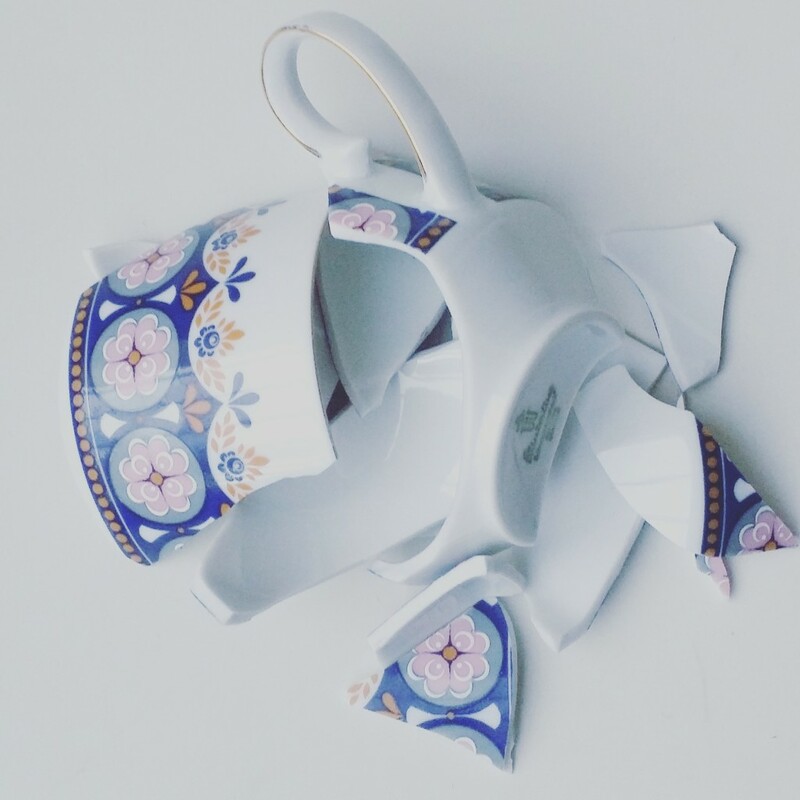 So….never throw away a broken piece of vintage porcelain, but keep it and add a flowerbulb to it and you can still enjoy your favourite cup or other item.